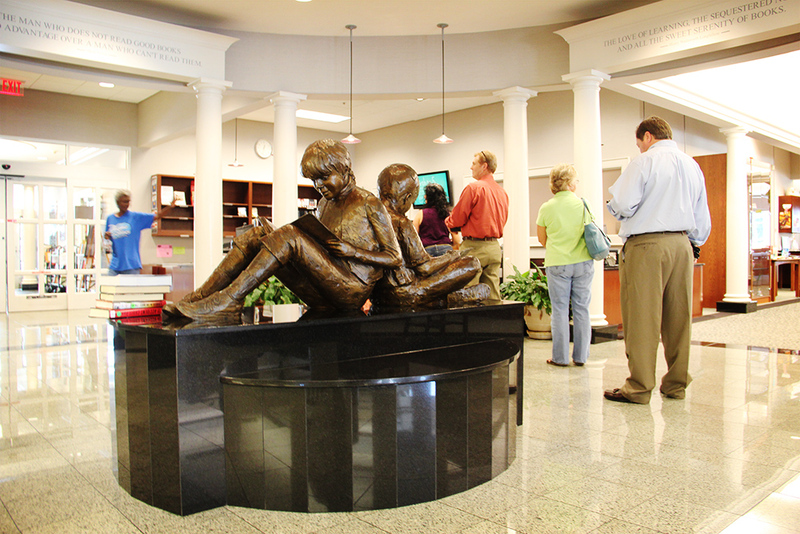 Our Circulation desk is located on the first floor near the main entrance. This is our operations hub. If you need any information, please visit this desk, or contact the division at (256) 764-6564 ext.73. Come here to get a library card, request informaton for meeting rooms, apply to volunteer, and more. Our circulation department puts roughly 5,000 materials into the hands of our patrons each week and plays host to various groups and organizations that schedule meetings and conferences here. They are here to help you use your library with ease.